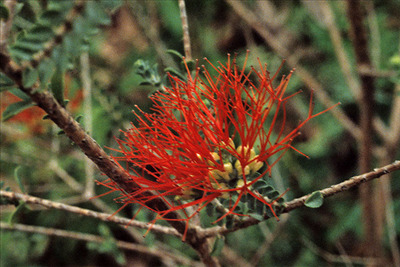 A small to open shrub. Prune for more compact growth habit. Red flowers appear in Summer-Fall. The small oval leaves taper to a point around the stem. Very attractive container plant or garden specimen. Attracts birds to the garden too!